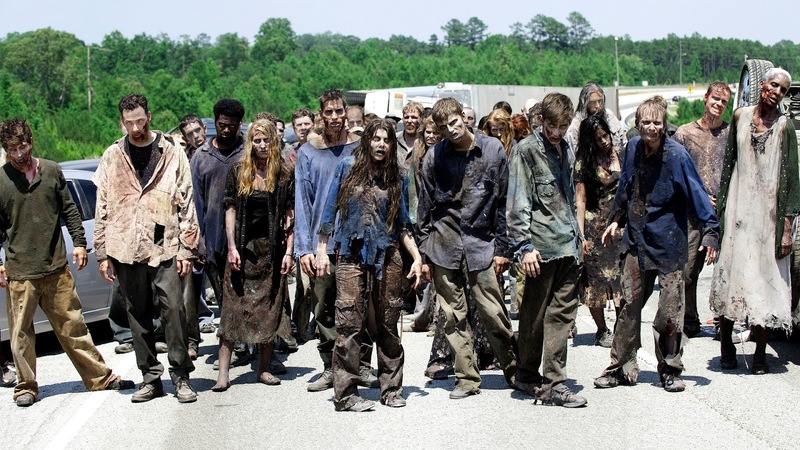 While zombies are running (or should I say, “staggering?”) around spreading their infections in Hollywood movies and TV shows, Bradley Voytek, author of Do Zombies Dream of Undead Sheep? : A Neuroscientific View of the Zombie Brain, is spreading knowledge about the field of neuroscience, the brain, and how it can all be better understood through the study of the undead. In this new interview with the World Science Festival, Voytek discusses need-to-know matters such as zombie symptoms and probable causes, why some zombies are slow and others fast, and his general approach to writing the book with co-author Timothy Verstynen. World Science Fair: What consequences are there when a zombifying agent brings a dead brain back to life? Bradley Voytek: Neurons start to die off within minutes when there’s a lack of oxygen—especially neurons in the hippocampus, this seahorse-shaped area a couple inches in from your temple, which is pretty important for forming memories. So if, as in The Walking Dead, the zombie infection takes hold after someone dies and reanimates them, if there’s that couple minutes of delay before restarting, there’s going to be some brain areas dying off. In the book, we call this the “time to resurrection” hypothesis. If you look at “fast zombies,” like in the movie 28 Days Later, the infection there takes just seconds to transform somebody from a normal person into this rage-fueled monster. We argue that because you’re only dead for a few seconds, there hasn’t been much damage to the physical substrate of the brain, so you’re still coordinated. But in Night of the Living Dead, the undead may have been dead for weeks or months, so they would have decayed quite a bit. This interview is very interesting, I wait for further news … ! !